Felt Filter Socks for Red Sea Reefer and MAX series of tanks. 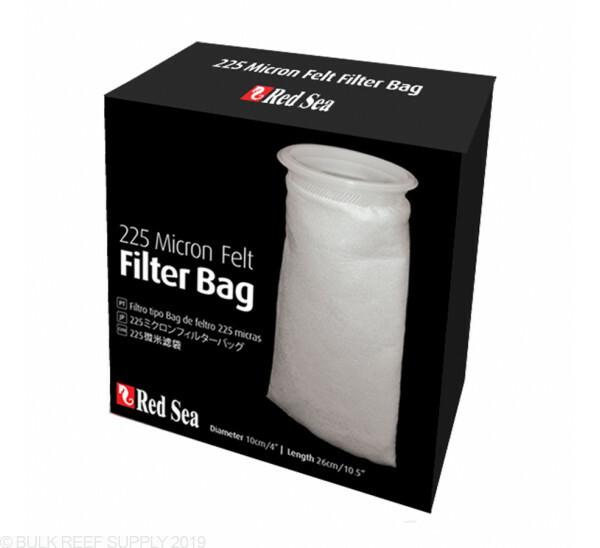 Red Sea Felt Filter Socks are great for trapping detritus and free floating particles in your tank. Filter socks are washable for continued use and will help give your tanks water that crystal clear look. Filter socks are most commonly used in sumps to help trap free floating particles in the water that flows through the sock. The Red Sea felt filter socks are great for removing large pieces of free floating material from the water that flows through the sock. Felt filter socks are a thinner material than felt usually lasting a bit longer and easier to clean. We do recommend having a few extra socks on hand and changing them ever couple days for best results. The Red Sea filter socks have a 225 micron rating to allow a majority of detritus to be collected while allowing smaller particles through. We have found with filter socks with a micron size below 150 can clog very quickly, where 200+ micron socks can last a few days before they are clogged. Compatible with Red Sea Reefer and MAX-S series of tanks. 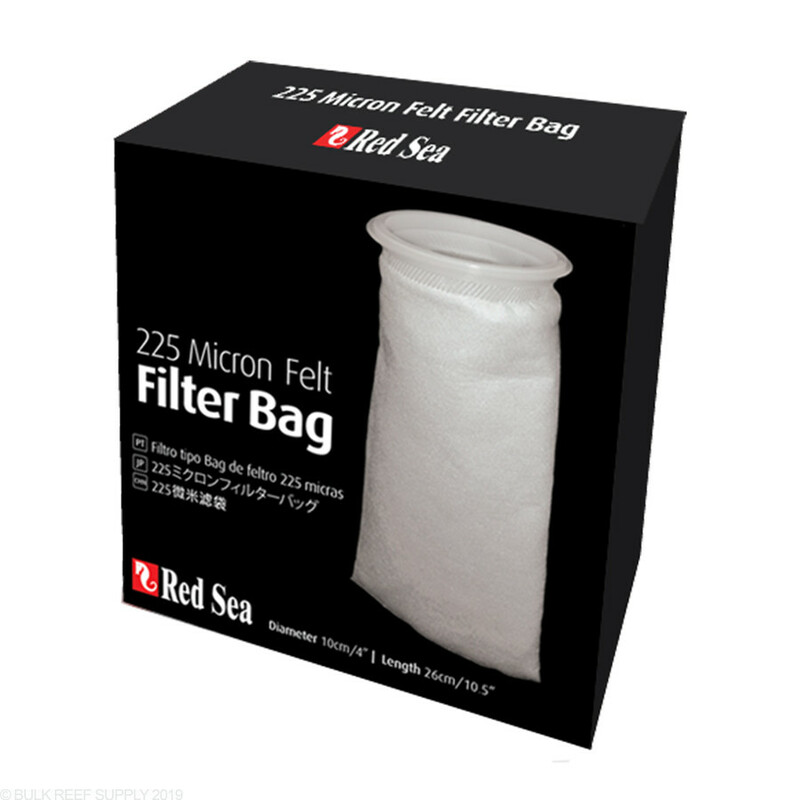 Please keep in mind Red Sea Filter Socks have a diameter of 3.5" where most traditional filter socks have a 4" diameter. These socks are great. I have the 625 XXL and these are the ONLY socks that fit in the trays. That being said, I run 2 felt in front; 2 mesh in back and find that works best to not have to flip them out so fast. Highly Recommended! I switch mines out every 3 days. Gets clogged faster than other socks, but has been thru 10 washes and hasn’t fallen apart yet. You can't beat these filter socks for clearing up the water after setting up a new tank, and they wash well. I re use these for months by just washing them. I wish the socks were a little wider so it would be easier to turn them inside out. If you use a piece of pvc pipe or a wooden spoon, it helps, but they are annoying to clean because of this. Very well built filter sock. Fits in my Red Sea Reefer 425 xl well. I know these are the only ones that fit the Red Sea holders but these are much better than the typical BRS felt ones!! They do work better than the mesh ones but just like any felt socks, rinse wash with bleach and rinse again!! Like the quality of the sock, and it fits greatly into my rsm s500.